A splendid Noah’s Ark is to be sold by Lawrences Auctioneers of Crewkerne. 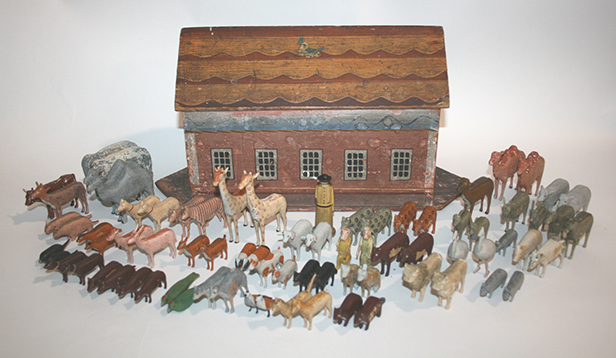 Entered for sale by a local client, the painted ark was made in Germany in the 19th century. It comes with Noah and a large quantity of hand carved wooden animals, only some of which are shown in the photograph. The ark will be sold in Lawrences forthcoming Autumn Collectors Sale, held on the 14 and 15 of November, and is expected to make up to £500. For further details about this sale please contact Simon Jones on 01460 73041.